DAYTON, Ohio – (April 14, 2016) – FiberSystems is helping customers curtail costs and boost performance with its corrosion-resistant methacrylate epoxy FRP composite pipe, duct and fittings. Custom engineered for chemical service environment applications, the versatile methacrylate epoxy is approximately 35 percent less than the cost of standard epoxy pipe. Methacrylate epoxy products also offer high-performance alternatives for costly alloys and specialty metals for projects that dictate fire retardant and explosion resistant requirements. The filament wound methacrylate epoxy FRP pipe and duct products are available in sizes ranging from 3/8-inch to 168-inch. One of just a handful of manufacturers to offer pipe in these size ranges, FiberSystems builds its products to ASTM standards for iron pipe outside diameters (OD) and chemical process pipe inside diameters (ID). 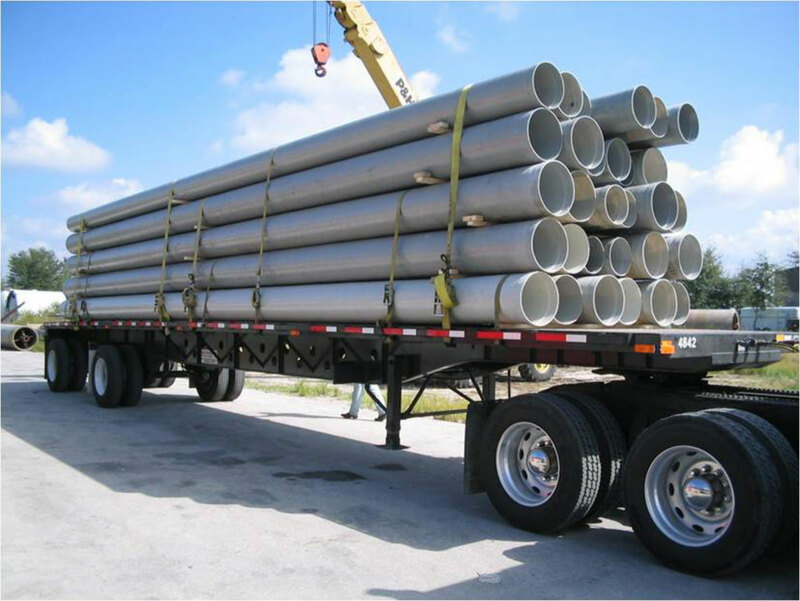 The methacrylate epoxy FRP pipe products can also withstand burial conditions from live loads; to earth loads of 100 feet or more. The products can be used for underwater installations and supported span applications. A high-performance grade of methacrylate epoxy resin pigmented grey for UV inhibition is used in filament wound structural overwraps and flanges. FiberSystems leads the industry as a custom manufacturer of Fiberglass Reinforced Plastic composite parts in a wide range of sizes for structurally demanding applications and corrosive environments. With nearly 70 years of fabrication and engineering expertise, FiberSystems combines specialized resins knowledge, innovative design and materials; manufacturing technology and restoration services to support a diverse product lineup that includes pipe, fittings, duct, containment systems, tanks, pipe supports and items like pultruded structural shapes, flooring systems, grating and coatings.